The North Atlantic Council (NAC) will meet at the level of foreign ministers at NATO Headquarters in Brussels on 4–5 December 2018. On 5 December, foreign ministers will gather for a meeting on NATO's Resolute Support (RS) mission in Afghanistan together with the partner countries contributing troops to the mission. Finland's representative at the meeting will be Minister for Foreign Affairs Timo Soini. In addition to representatives of Afghanistan and the 39 countries participating in the mission, the EU High Representative for Foreign Affairs and Security Policy, and representatives of the United Nations and the World Bank have been invited to attend the meeting. "The stabilisation of Afghanistan is among the key priorities of Finland's foreign and security policy and development policy. We have contributed troops to the RS mission since it was launched in 2015," Foreign Minister Soini says, emphasising the importance of the meeting. 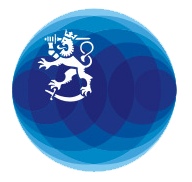 Participation in NATO's crisis management is an important part of Finland's comprehensive policy on Afghanistan. NATO's Resolute Support mission was launched after the completion of the International Security Assistance Force (ISAF), which started in 2001. Finland will gradually strengthen its contribution to the RS mission to 60 soldiers starting on 1 January 2019. Additionally, Minister Soini will be the main speaker at the European Prayer Breakfast (EPB), hosted by Members of the European Parliament. Inquiries: Riikka Taivassalo, Special Adviser to the Foreign Minister, tel. +358 46 9234 581, and Sari Rautio, Director of Unit, tel. +358 295 351 534.